Otosome - Toyota has revealed, that the concept of C-HR will rise to a production model. The company also has determined that the car will be assembled at Sakaraya, Turkey. Reporting from Worldcarfans, Tuesday (16/02/2016), the plan was brand-new concept car will soon arrive at the Geneva Motor Show, in March and is offered with a hybrid setup. But for business specification car, Toyota is still sealed tap information. Based on the information circulated, the hardware on the car will be adapted from the latest Prius. For the European assembly, C-HR will be the eighth of Toyota models assembled in the blue continent after Aygo, Yaris, Auris, Corolla, Verso, Camry and Avensis. In addition, the company has also been mentioned that the model they built in Turky is devoted only to the European market. Toyota C-HR concept actually has a funky design view, but slightly softened when it comes to the production model. But it is expected, will perform radical crossover as well as the Nissan Juke. 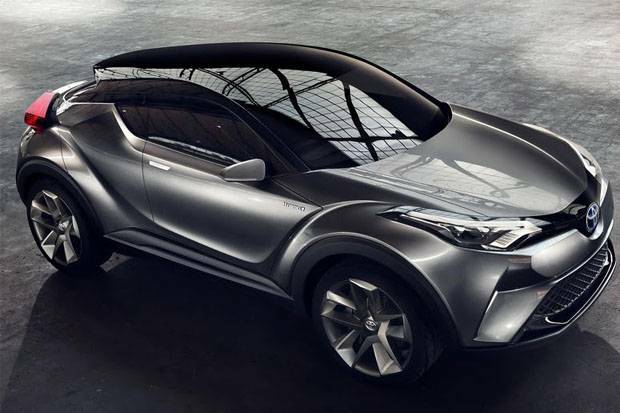 With its debut early next month, it's likely Toyota will begin marketing the C-HR in the second half of this year. In addition to launching a hybrid model, the Japanese manufacturer will also present some conventional variants.